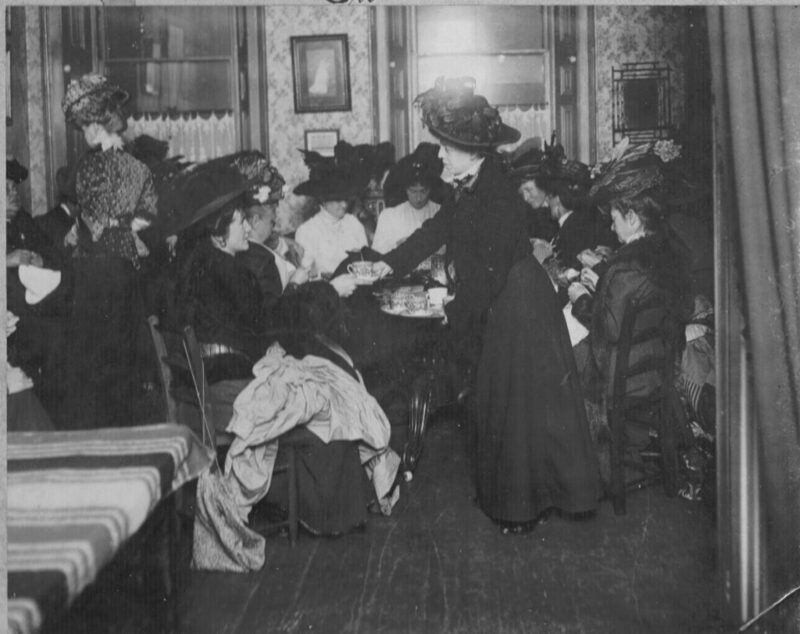 The Theatrical Ladies Guild (TTLG), as we were known then, was founded in 1891 by the actress Kitty Carson when she gathered together a group of fellow actresses, and told them, “I have been very grieved to hear of many sad cases of distress among our sisters in the profession…”. The majority of the cases were pregnant actresses on tour or working in the provinces, thrown out of work and abandoned by their employers with no means of support. Weekly Sewing Bees were set up where clothes for new born babies were made and distributed. This was followed by second hand clothes sales for actresses working outside of London who had to supply their own stage wardrobe. Basic living needs soon became part of the Guild’s remit. Other theatrical charities now support actresses and actors, and the Guild supports only those who work backstage and front of house – ‘…that great army of unseen workers who also administer to the amusement of the public” as described by Irene Vanburgh, a past TTLG President for thirty six years. Fundraising was and still is a vital part of our work, beginning over 100 years ago with great tea parties at the Royal Albert Hall. AGMs held in West End theatres were so popular that there was standing room only and huge press coverage. In 2001, we changed our name to the Theatrical Guild (TTG) to make it clear that we support men, women and their families. In 2009, the first man joined the committee. The Guild is one of fifteen theatrical charities working under the umbrella of Acting For Others.